The outer protective layer of the teeth, dental enamel, is the hardest substance in the human body. Ninety-six per cent of its composition is mineral – almost entirely a crystalline calcium phosphate, called hydroxyapatite1 – with water and organic materials comprising the rest. As such, it is an effective barrier that protects the more sensitive layers of the tooth. Indeed, enamel can withstand bite forces as high as 1,000N on a daily basis and has a relatively low wear rate, making it the ideal protective material for the teeth. Enamel is formed through the process of amelogenesis, beginning in developing babies during the third of fourth month of a pregnancy. After this time, the new enamel forms at a rate of about 4?m per day4 until the tooth eventually erupts from the gum. Interestingly, before this happens, at some time during the mineralisation stage of enamel development, the ameloblasts – one of the integral proteins of enamel development – begin to undergo programmed cell death. As a result, enamel has only limited ways of regenerating itself once it has been damaged, through wear, acid attack or dental decay. The repair in the mouth is governed by the intricate balance of demineralisation through day to day challenges and the remineralisation by calcium and phosphates deposited by specialised salivary proteins. This is a prevalent issue since, due to the nature of its composition, enamel is susceptible to almost constant demineralisation.1 As we know, there are many different reasons for demineralisation, but by far the most important is the ingestion of fermentable carbohydrates. Sugars are, of course, the common culprits – particularly sucrose – and when these are introduced to the native bacteria of the mouth, lactic acid is formed, significantly lowering the intraoral pH and causing demineralisation,1 and this may lead, if unchecked, to dental decay. Fortunately, there are a number of things that can help prevent or, at least, slow the effects of demineralisation. Perhaps the most effective – and subsequently overlooked – is saliva. By regulating the pH levels in the mouth, saliva helps prevent enamel from decaying; indeed, its importance to caries prevention can be assessed by the fact that people suffering from xerostomia generally have a higher incidence of dental decay. Saliva also contains antimicrobial compounds and is hypersaturated in calcium through a group of proteins called statherins. There are also a number of artificial prevention and remineralisation therapies that can help maintain the desired intraoral equilibrium. The fluoridation of drinking water and toothpaste is, perhaps, the most recognised – and has demonstrable results, as it leads to the formation of fluorapatite, which is much more resistant to acid challenges. Indeed, fluorapatite is an important component in tooth enamel and can be strengthened by the presence of additional fluoride ions. Maintaining the equilibrium between demineralisation and remineralisation is one of the most important factors in preserving good oral health – and preventing dental caries. As we know, dental caries is one of the most prevalent dental health issues in the UK – and is a direct result of an imbalance in the demineralisation / remineralisation pattern. If a person’s diet or even genetic predisposition allows demineralisation to overtake the body’s natural reparative functions, caries results. Indeed, as the crystalline structure of enamel begins to break down, so called cariogenic bacteria – most commonly Streptococcus mutans – is able to gain a foothold on the tooth’s compromised surface, expediting decay and causing cavities. As we are well aware, once a patient has a cavity, there are few clinical options available other than placing dental fillings, which further compromise the tooth. While it may be one of the most prevalent health issues in the world, dental caries is still quite hard to detect, and particularly in its earliest stage, when remineralisation therapy can still repair the damage. Fortunately, however, our understanding of dental caries has increased significantly over recent years and new technology is presenting itself that can aid dentists in early caries detection and subsequent treatment and prevention. Cariologists have discovered that an effective way of detecting active demineralisation at its initial stage is to monitor a tooth’s calcium components at a molecular level. For example, as demineralisation occurs, calcium ions are released from the crystalline structure of the enamel. These ‘free’ calcium ions then start to collect in solution in what are known as hydration shells – small pores and pockets that increase as the enamel’s crystalline structure begins to break down. The presence of free calcium ions is indicative of the progress or active status of demineralisation, providing a means to track the process at its earliest – and most reversible – stage. This process is the basis of the innovative CALCIVIS imaging system. By introducing a unique and highly specific recombinant, luminescent photoprotein to the free calcium ions that are a result of active enamel demineralisation, a tiny flash of light – termed as a chemiluminescent signal – can be produced. This has enabled CALCIVIS to produce a highly sensitive imaging device capable of producing a chair side map of active demineralisation, giving practitioners the necessary information to begin first-response preventive treatment before a cavity can form and more invasive treatments are required. Preventive dentistry is regarded as the future of dentistry. Protecting a patient’s natural teeth is a paramount consideration and professionals must be prepared to focus on the early diagnosis and prompt treatment of dental caries. New technologies are making this possible by giving dental professionals the means to offer high-quality and accurate early intervention and preventive care in the first instance. There is a concept in nuclear chemistry which many will be familiar with. Critical Mass has been adapted to apply almost any situation nowadays. When a process of change is beginning, Critical Mass is used to refer to that point when change becomes inevitable. What starts as a mood that change is needed becomes a minority activity with early adopters, eventually tipping over the edge for widespread general change for the better. Early Years - has General Dental Practice failed? £3billion of funding, give or take, by the Government, aims at funding dentists to sit there waiting for patients to wheel their little rug-rats in for a ‘check-up’. Sadly, two facts suggest this time-honoured approach is a fail. Firstly only 50% of the population actually go to the dentist, and that is without weighting the numbers towards any problems with new migrant or ethnic groups. Secondly, by the time the child appears for their check-up age 3-4, the caries is already established, the dietary patterns are embedded and the Prevention horse has, by and large, well and truly bolted. http://www.hscic.gov.uk/catalogue/PUB17794/prov-mont-hes-admi-outp-ae-April 2014 to March 2015-toi-rep.xlsx is a spreadsheet of child hospital treatment number suggesting in England alone some 110000 admissions for dental caries at about £670 per admission . My back-of-my-vape-packet estimate is that some £73Million is spent [in England alone] with hospitals sorting out the fact that community prevention of dental disease in children has failed. The medics have now woken up to the fact that this same diet is leading to an epidemic of child obesity and diabetes. GDPs do their best - but what is needed? 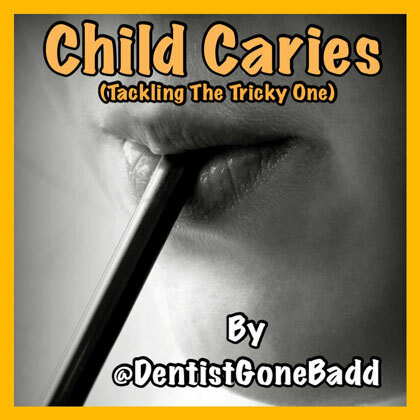 Patently dental teams who care for caries affected early-years-children do their best, often with imaginative and innovative outreach, but the numbers for GA Admissions suggest the problems fires are still raging despite the attempts to limit the spread by the profession from the GDP model. Is the demand for planning of a different dental intervention for the first three years beginning to gather momentum? Are we indeed reaching a point where the energy and desire for change to be planned means that significant change will indeed become a priority? Just look at the last year of public domain comment and criticism of the present status. Sugar is now being discussed in a widespread public debate about obesity [be it child or adult] and diabetes but led his time our medical colleagues. Caries is being discussed too. Various media events [including the 3rd Daily Telegraph Letter] have taken place in which members of the profession have presented the view that the present system of delivery of dental care is simply failing to deliver any effective prevention to the early-years child. It is also unclear if the new GDP Pilots will change much in the context of a developing problem and reducing financial resources in Government spending plan. It is clear the new CDO [NHSE] has sensed this and is trying to wind the initial changes back and see where the true problem lies an th evidence takes her. Sadly, there is no real evidence, because we have a problem which requires action for which an integrated approach has never been trialled, let alone undertaken. One example of the media attention is a recent BBC Look North slot with Dr Tony Kilcoyne. The BDA it is reported are meeting with the Chief Medical Officer’s team. 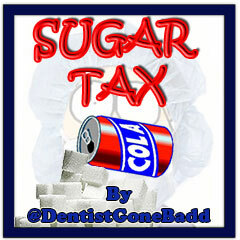 Dentistry on its own is a small backwater of medical provision. 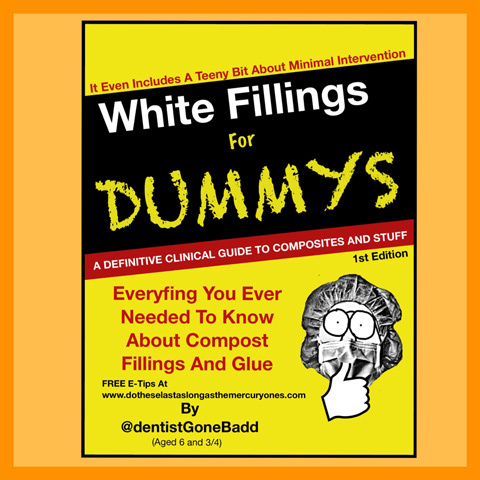 But when we start to get frequent interventions by the medical profession, increasing interest by the broadcast media, and an increasing public desire to understand and discuss the situation as it relates to THEIR dental health and that of their children, … well anything can happen. Now what happens to the GDP’s element of the NHS Budget on the back of such changes is, of course, a separate discussion. But can all this really happen? Will we really witness 2016 as the year that Critical Mass for real change will be reached. 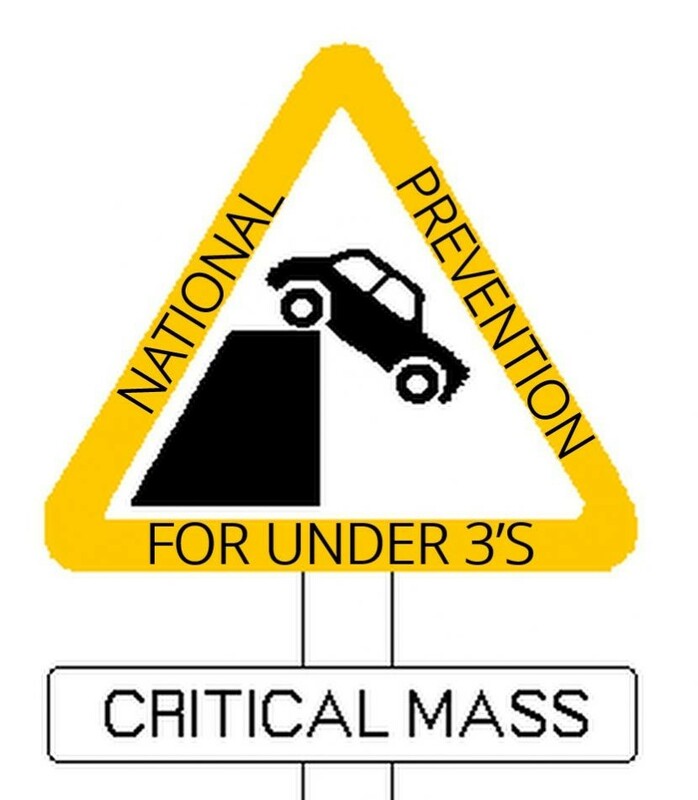 I suggest the need for a “National Early Years Preventive Strategy” will be crafted which integrates medicine and dental care into a program targeted at mothers and their children and wider families that will aim to influence the diet and dental care of the under 3’s. We as a profession have arguing this case for years and the Department of Heath have merely sat by. I sense the medical profession are not going to sit idly by and watch the sugar/obesity/diabetes/caries scanal wreak further havoc, be it to personal heath or their budgets. We can hope that as a profession we are included in the delivery of a solution. We can but hope that something better comes out of it for the wider work of Geneal Dental Practice.